New products get me sooooo hype! So you could imagine the fanfare involved in opening a box of goodies from The Mane Choice. In true killin' tha game fashion, The Mane Choice has dropped several new products (including a talking flat iron!) in 2016. Among those new product offerings are the Soft as Can be 3-in1- Revitalize & Refresh Conditioner, and the Crystal Orchid Biotin Infused Styling Gel. 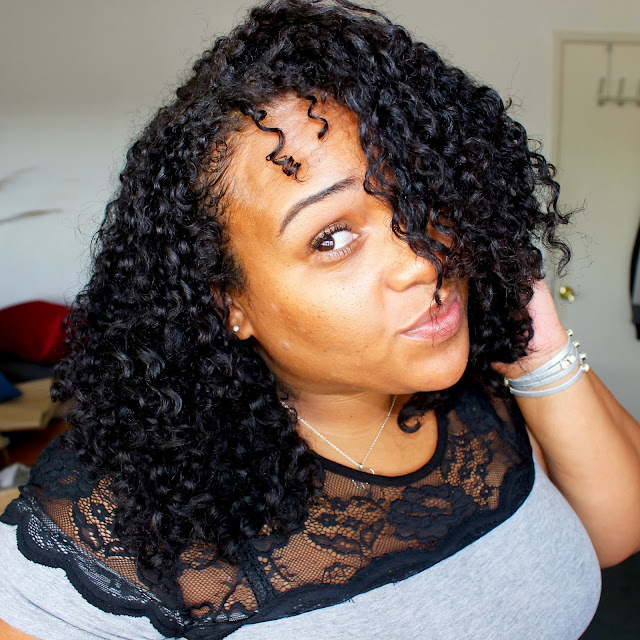 You guys have already seen me roll out my favorite leave-ins and curl definers of 2015. So how did these two products from The Mane Choice stack up? Keep reading to find out! Cetyl Alcohol: Considered "fatty alcohol" -- NOT to be confused with drying alcohols such as ethyl. Acts as a lubricant, thickener, and emollient. Also give conditioner its velvety feel. without making hair greasy. Is additionally used to keep product ingredients from separating. Sodium PCA: A derivative of the naturally occuring amino acid proline that acts as a natural humectant and moisturizing factor for human skin and hair. Behentrimonium Methosulfate: A gentle surfactant made from non-GMO rapeseed (canola oil), and is one of the mildest detangling ingredients out there. It doesn't cause buildup or irritation to the scalp. Avocado Oil: Omega rich oil extract that can softens, adds moisture, and promotes shine. For the full ingredient list, click here. Let's get straight to the point. This product blew me away. Like, I don't think I was actually ready for it. In my mind, I figured that Soft As Can Be would likely make a good leave-in conditioner, and a decent co-wash and detangler at best. I. Was. WRONG. Oh my goodness, I was wrong. The consistency is thicker than your average leave-in, closer to that of a rinse out conditioner. It spreads super easy and smooth, and melts right into my strands. The slip is off the chain. It makes detangling a super breeze, and leaves my hair feeling clean, yet soft. As a leave-in, it's super hydrating and quenches frizz (as you'll see in the video). It hits all the marks for performance and then some! I'm beyond impressed, and I don't mean that lightly. The Mane Choice definitely knocked it out the park with this one! The only thing I didn't care for? The size. A girl like me who co-washes twice a week definitely needs more than 8oz of anything in life. So ummm, Courtney... can we get this in a 32oz or nah? Lol! Nothing makes me happier than when a product delivers on exactly what it says it will do. Soft As Can Be TOTALLY exceeded my expectations in all areas -- as a leave-in, detangler, and co-wash. It hits all the important marks -- moisture, awesome ingredients, slip, and more. I am blown away and totally impressed. Although the Soft As Can Be 3-in-1 was sent to me by The Mane Choice, I would totally buy it again with my own money. Believe me, it's off the chain. Vitamin E Oil: Antioxidant-rich oil that supports hair growth, and believed to assist in preventing hair loss. Also has been known to be a proven UV protectant. Silk Amino Acids: Used for conditioning, moisturizing, known to make hair glossy, and give hair more body. It is a strong humectant, and is made from a mixture of amino acids, the most common in this mixture are Glutamic acid, Serine, Proline, Arginine, Threonine, and Aspartic acid. First things first: Praise God for 16oz! 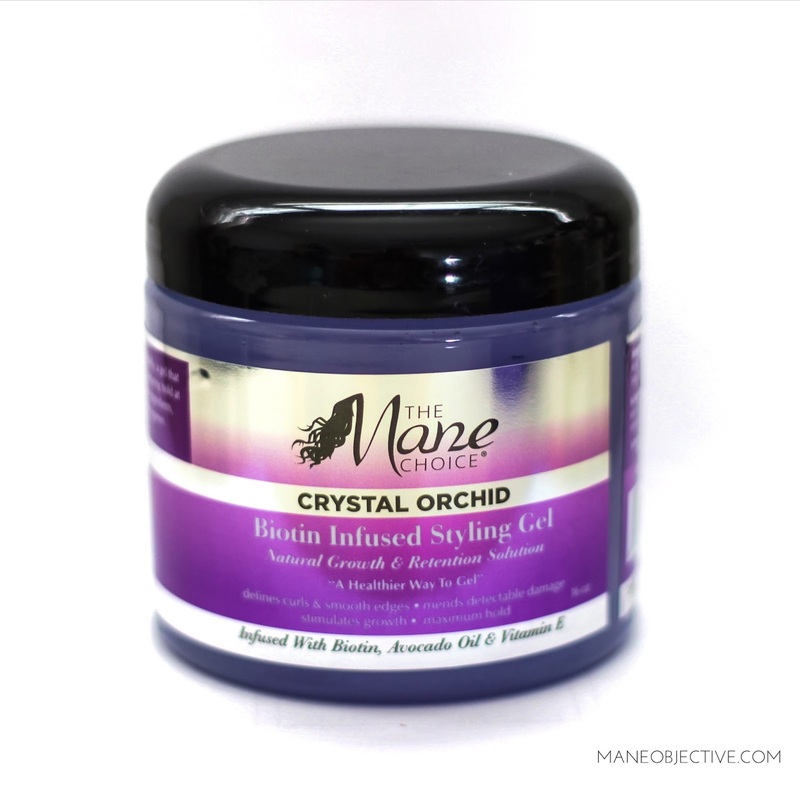 Now that I got that out of the way, let's talk about how off the chain the Crystal Orchid gel really is. For starters, do you see those ingredients?! Stellar, just....stellar. Now, let's talk performance. As you'll see in the video, Crystal Orchid is a moving gel, with a consistency that reminds me of a thick caramel or fudge. Not runny or watery, but not jiggly like jam either. To be honest, it was my first time trying a gel with this consistency, and I was a little skeptical about how it would work. I have to say again, I'm totally and utterly impressed. Completely blown away. 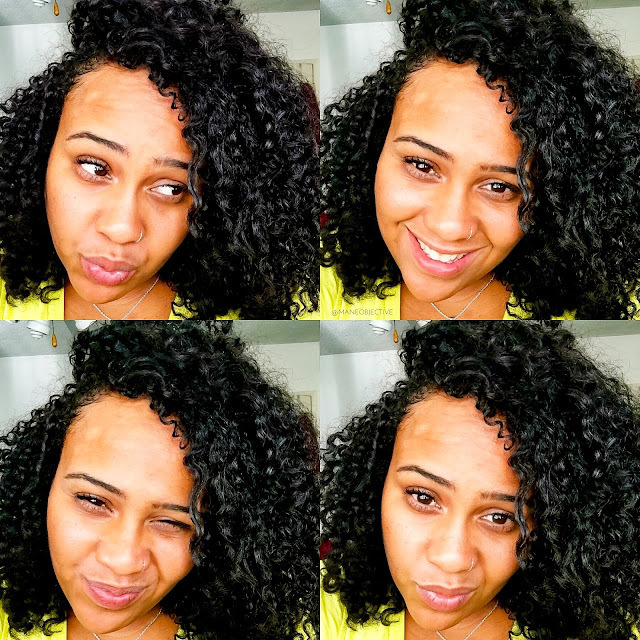 Not only does the gel have great slip, it glides down my curls and leaves them frizz free, smooth, and shiny. And even though it's a botanical gel, after air drying, my curls plump right on up in all their shiny splendor. I love this gel!!! Oh my goodness, I love it. It calms my frizzy bits without giving me the ramen noodle vibes. It doesn't dry my curls out or make them feel parched. Super shoutout to @ktwatkins on IG who said I'd love it. You were right, girl! What I'm about to say isn't particularly indicative of Crystal Orchid, but it's a best practice in general when styling with gels. I'm heavy handed with product, but it's totally possible to have too much of a good thing. When you've overused a gel, it typically causes white flakes and epic levels of crunchiness. With Crystal Orchid, overuse can cause a slight tacky feeling on the hair. Just be mindful of how much product you're using, and adjust your ratios accordingly! To be not as thick and heavy as the gels I normally use, I was most certainly impressed by Crystal Orchid Biotin Infused Styling Gel all the way around. It made my curls pop with enhanced shine and definition. Something else that I found to be pretty awesome? It didn't take my hair allllllll day to dry. It was pretty much dry within 3 hours, which is a record for my hair. My verdict? AWESOME gel. Because of the consistency, it would probably make for a pretty epic flexi rod set -- but you'll have to find somebody else to drop that tutorial lol! 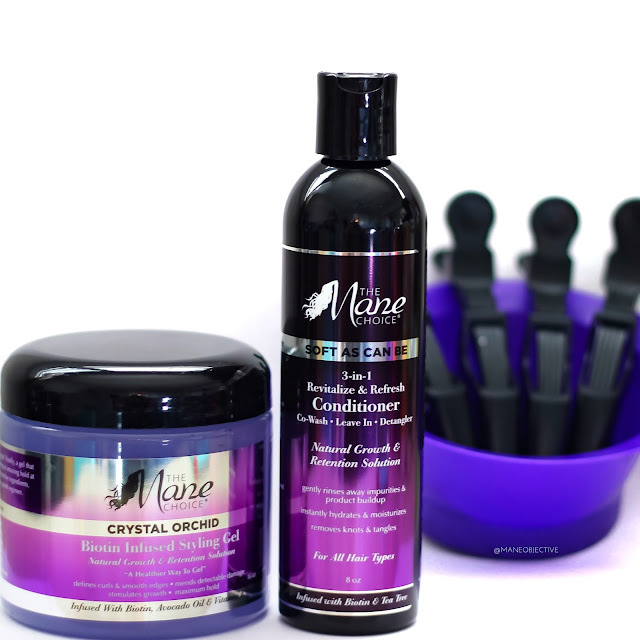 Have you tried the new products from The Mane Choice? Let me know in the comments below! Also, feel free to drop any questions! Yes I cowashed with the conditioner today and used the gel and did a bantu knots. I can't wait to see the results!! I love how the cowash leaves the hair soft. I didn't get the moisture or slip needed from the 3n1. I thought I loved the orchid gel at first, but using it to refresh my style over the week caused my ends to get dry & brittle, even with the leave in.